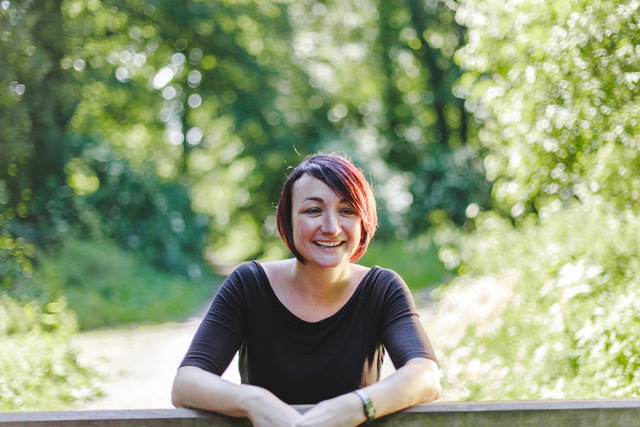 Read how Gemma Stow left the probation service to start her own business once she became a mum. And how the failure of THAT business led her to discover her true calling and launch Fiercemums. I am Gemma Stow I am married to Mark, and we have two gorgeous children Matilda (eight) and Grayson (four). They rock my world. I am the founder of Fiercemums and love being a kickarse coach to empower women to take fierce action towards their dreams. I empower ambitious mums who are feeling unfulfilled and ready to be more than just a mum, to be more confident and clear on what they really want, by helping them to get to the bottom of what is holding them back and then take inspired action to get them to where they want to be. My work is everything to me as I know first hand what it is like to feel like you are at the bottom of the priority pile, have lack of confidence in your own abilities, and have that feeling of not being in control. I don’t want any woman to feel she has to settle for less after starting a family. I actually started my first business when my daughter was born back in 2008. I wanted something different and wanted to work for myself to give me more flexibility. So I took voluntary redundancy whilst on maternity leave from the National Probation Service where I had been a Probation Officer for eight years. Starting a family made me realise my ambitions and how much I love to do work I love – it is a part of who I am. Going from career driven professional who felt independent and in control, to being a new mum and not having a clue what she was doing was a big shock to my system. It was tough and I wasn’t ready for the changes that it would bring to my way of life. But I quickly realised that to be the best mum I could be, I had to listen to what was important to me too and that was to get back into work that I loved to do – and I got my sparkle back! My first business was working with disadvantaged young people mainly with challenging behaviour that stopped them reaching their full potential in mainstream school. I had an amazing team of staff and the business built up a great reputation and I won a Network She Award for our achievements. However, after working with a business mentor (that was originally to help me up level and grow the business) I realised that after seven years I wanted something different and my passions had changed. I was fed up with the red tape and the changing climate in education. I made the heartbreaking decision to close the centre in December 2015 and was left wondering what I really wanted. Where did the idea for Fiercemums come from? After a great deal of soul searching and figuring out my own strengths, I decided to make steps into the coaching world and haven’t looked back. I am, and always have been, all about unlocking the potential in others. It was a scary time closing down my previous business, but I knew that it was the right thing to do. I had to follow my heart, and as well as unlocking others potential, it was time to unlock my own. My coaching business is all based online, and having debts from the closure of my previous business I needed to do something that would be easy to start and would only cost me my time. I started my coaching business whilst working full time hours that I squashed into four days so it left me one day to work on the business plus the weekends and evening I put into it. The thing is – because I love what I do it doesn’t feel like work to me I enjoy it that much. It was hard returning back to working for someone else at that time, but I knew it wasn’t forever and they also supported me regarding my new business venture. My first biggest outlay was hiring my own coach. I didn’t have the funds so I used my credit card and knew deep down that I would make that investment back. I did within 6 months. I knew that this was what I needed to really do to build my own confidence and make this business take off. It was the best investment I could have made in myself. I quite like figuring things out for myself and built my own website, mailing lists, social media platforms and had learnt a lot from the different roles I played within my first business, but also learnt from my mistakes I had made too. So this time I got to do it my way and in my own time. I originally started a blog in July 2015 – that I didn’t share, as I was worried about what people might think about me talking about being a ‘grumpy mum’. But when I did find the courage to share it and had an amazing response of women saying that they thought they were the only ones who felt like that, then my heart exploded and I knew I had found my thing. I started a Facebook group called Fiercemums and it has grown to over 1000 members and is to inspire and support each other on this crazy journey or motherhood and business. I love my group and all it’s members and I hang out in there everyday. I have used Facebook a lot for marketing my business and growing a following, which I think is crucial for any type of business. It is also a great way to showcase transformations that my clients have had whilst working with me and then this can be shared across social media platforms. It is ideal for women starting out because the costs are minimal which is a great start for a new business venture. I have found what works for me and my family. I also love helping ambitious Fiercemums with managing this juggle. It is not easy and was one of the reasons I wanted to work for myself in the first place. I have set times when I work and have set times for fun. I changed my lifestyle so I get up super early and have time for me and my work. I can say that there are days when I would rather carry on working, but the school bell is looming and I find that hard sometimes to switch off. Being present with whatever you are doing is the best advice I can give. Multi tasking just frustrates everyone – you and your family. The biggest challenge is doing it all myself and wearing all the different hats which also includes being a mum. I am not sure there is a perfect balance to this and it is more about doing your best with what you’ve got. Even though I have years of experience playing different roles in my previous business, our growth meant we could eventually have specialists who would take on these roles for me such as accountants, PR, team managers, admin etc – however now there is just me again and I am back doing it all. Juggling all the many areas of business is not easy and we all have strengths in different ones. I know that as soon as I can, I will be outsourcing the bits I am not that fussed about and giving them to someone who loves it, so I can concentrate and focus on the bits I love to do which is coaching my clients for transformational change. I love being my own boss! Making decisions about my work and when, where, how and who I want to work with and what I want to do. It is a part of my identity and values. I love it and am grateful for social media for letting me build an amazing community and making incredible connections with other women and ambitious mums who are on the same path as I am. Their support is invaluable to me. The best part is seeing the incredible transformations that women have when working with me – it doesn’t get better than that and I figure having the honour of being part of somebody’s life changing journey is literally the best job in the world to me. Self belief is everything. Self doubt kills more dreams than failure ever could. And don’t be afraid of failure or getting things wrong. I really don’t believe you can ever fail at anything: You win or you learn. It is that simple. 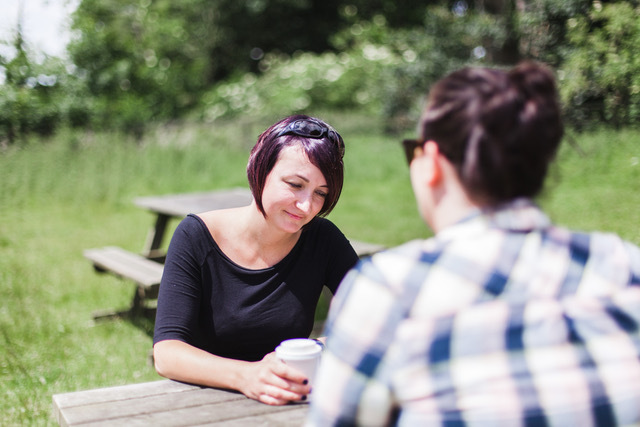 Don’t solely rely on those closest to you for support: hire a coach, join supportive communities and go out and make connections – they are what keep you going when times get hard. If we get honest with ourselves this is usually a reason that holds us back from going for it. We worry that we will have to spend more time away from our families or that we will have to step even further out of our comfort zone. Be bold. Be fierce. Say ‘Yes’ to opportunities that come your way and then figure it out later. Don’t overthink and talk yourself out of it or letting others influence you. As soon as I started saying yes more, everything changed for me. You’ve got this! Business is tough and can be sometimes be a lonely place, so make sure you love what you do and get the support you need to get you focused and clear on where you are going next. You’ve got this. Hang out with Gemma and other ambitious mums in their private group Fiercemums.